My client, Andrea, was married to her husband of 22 years and shared with me that she had been called a whore if a man looked at her and would get the silent treatment from her husband for days or weeks. To avoid his anger, she purposely didn’t wear much make-up and would often wear baggy clothes. She diminished herself so that he wouldn’t do it for her; it was just less painful that way. And a precious woman who reached out to me this week and shared her very personal story with me about how she spent decades walking on eggshells around her husband so that he wouldn’t erupt and spew incredibly hurtful words at her. She went through a bout with cancer, won and promptly told her husband she was leaving. Now, he’s sorry and sweet as can be unless he thinks she’s not spending enough time with him. That’s when the threats come, that’s when the anger erupts, that’s when the emotional abuse begins again and again and again. When the man that abuses a woman is upset, it’s always positioned as her fault. And if she believes it’s her fault, she will often think that if she makes enough changes, she can fix it. …that will make him happy and that will somehow make this relationship better. Any form of abuse carries with it a tremendous blow on our self-worth and can lead to anxiety and depression. But, the more tragic outcome is that we begin to believe the lies we’re being told about ourselves. Those lies sink into our bones and we begin to believe them as truth. Emotional abuse can escalate to a scary place. 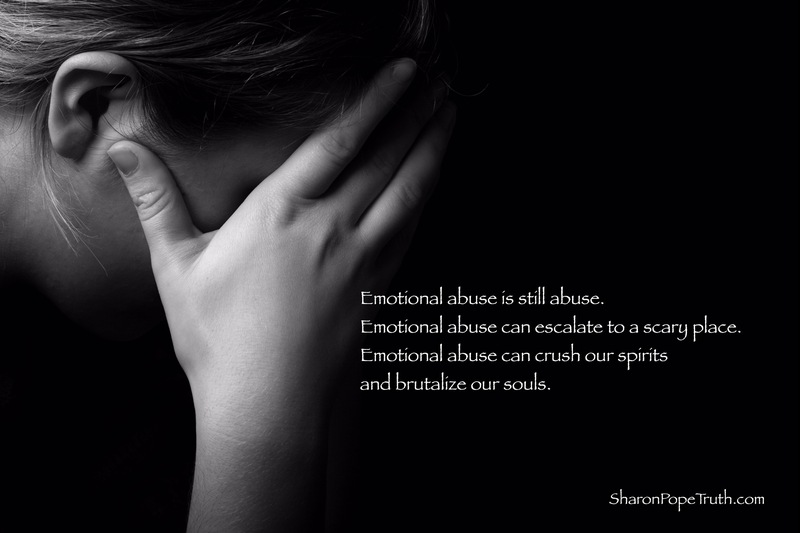 Emotional abuse can crush our spirits and brutalize our souls. I had to write about this…Before I became a Love Coach, I had no idea how prevalent emotional abuse was. My heart goes out to these brave women and I love helping them take the blinders off and find their way back home to their heart.